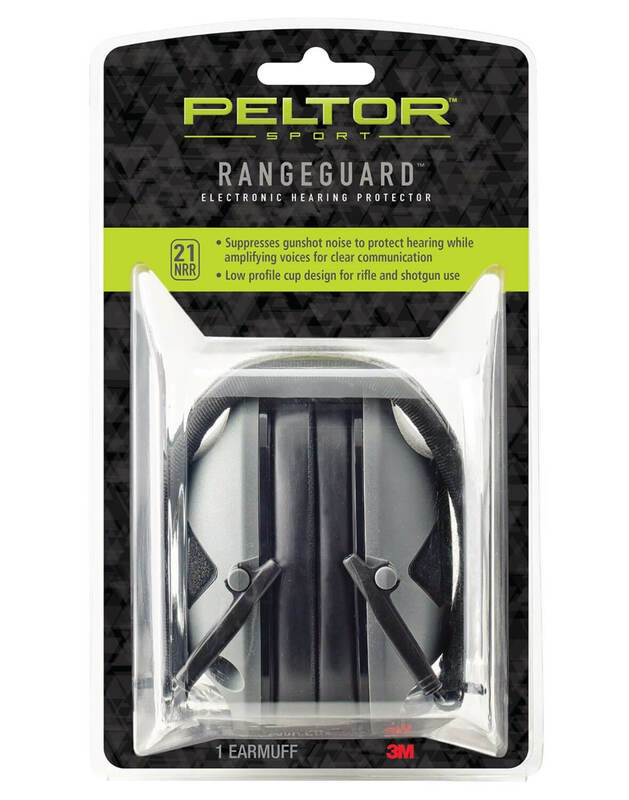 Peltor Sport RangeGuard Electronic Hearing Protector suppresses gunshot noise to protect hearing while amplifying voices for clear communication. Ideal for range and hunting use. 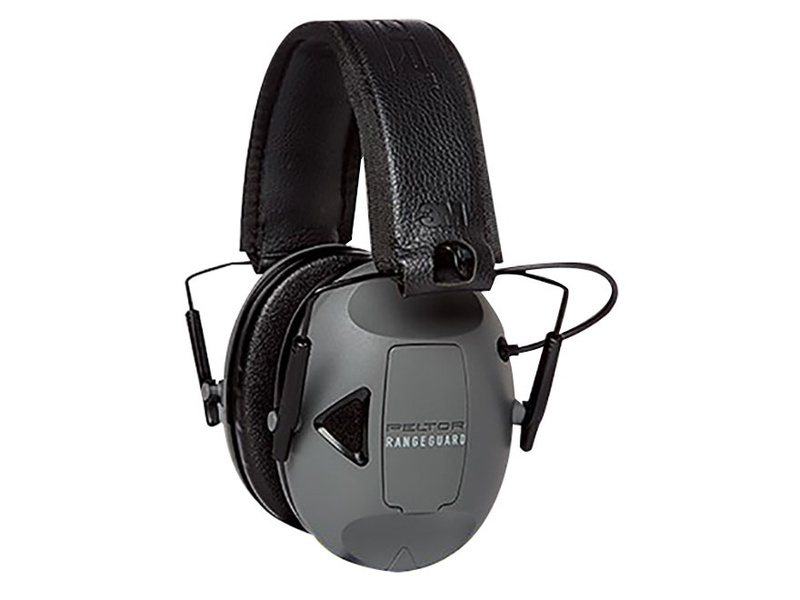 Noise reduction rating (NRR) equal to 21 decibels. Low profile cup design works with shotguns & rifles. Single, external battery door. Adjustable padded headband. 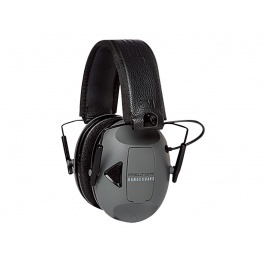 Durable recessed microphones. Single on/off and volume control. 4-hour auto shut off to preserve battery life. 3.5mm audio input jack for MP3 & 2-way radio compatibility. Runs on 2AAA batteries (not included).